Want to raise money smart kids? The secret might by hiding around your dining room table. 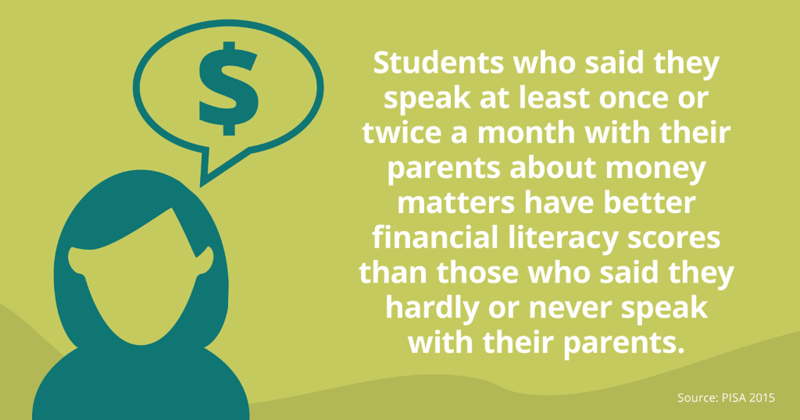 It seems that students who speak with their parents at least once or twice a month about money matters have better financial literacy scores than those who said they hardly or never speak with their parents about money. That insight is from the Global Financial Literacy Excellence Center (GFLEC), based at George Washington University, which conducts cutting edge research on why Americans don’t understand money very well, and what can be done about it. So if you want to give your kids a head start when it comes to building a solid financial future, talk to them about money around the dining room table. Discuss anything and everything from credit cards, to paying for college, funding a Roth IRA with their summer job earnings, making a budget, and what car insurance costs. Make a special point of discussing money with your daughters. Those conversations can often make a difference in helping your daughters grow up to be independent, resourceful, and financially successful young women! ← Top 529 College Plans: Who Gets The Gold?